Zubeen Garg at a concert in Bangalore, February 2007. Zubeen Garg is an Indian singer, music director, composer, songwriter and actor. His contributions are mostly attributed in Assamese, Bengali and Bollywood. He has sung many songs in other languages including Tamil, Telugu, Kannada, Malayalam, Marathi, Odia, Bodo, Karbi, Nepali and English. He also plays dhols, dotora, guitar, mandolin, keyboard and various percussion instruments. Garg is from the Upper Assam city Jorhat. His birth name is Zubeen Borthakur. He was named after the composer Zubin Mehta and uses his gotra name, Garg, as his surname. Garg entered into the professional music when his debut Assamese album Anamika was released in 1992. He later released albums including Maya, Asha and Pakhi . In the late 90's Garg moved to Mumbai to work in the Bollywood music industry where he recorded few Hindi albums and films like Chandni Raat, Yuhi Kabhi, Fiza and Kaante, and the song "Ya Ali" from the movie Gangster . 2015 Ahetuk Assamese Special Appearance In the Song "Ahetuk"
2014 Suma Porokhote Assamese Special Appearance In the Song "Suma Porokhote"
2007 Big Brother Hindi Special Appearance In the Song "Jag Lal Lal"
2006 Strings - Bound by Faith Hindi Special Appearance In the Song "Mantra (Om)"
2006 Gangster Hindi Special Apperannce In the Song "Ya Ali"
^ Ganguly, Ruman (26 March 2011). "Zubeen Garg on a different track". ^ a b "About Zubeen's debut album Anamika at futuresounds.com". futuresounds.com. Retrieved 4 September 2015. ^ a b "ZUBEEN GARG Biography". entertainment.oneindia.in. Retrieved 19 January 2013. ^ "Jonkey Barthakur dies in car mishap". North East News Agency (NENA). NENA. 7–21 February 2002. Retrieved 19 January 2013. ^ "About Zubeen Garg in Onlinesivasagar.com". onlinesivasagar.com. Retrieved October 6, 2015. 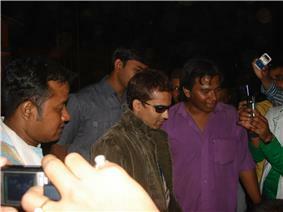 ^ "Zubeen played the lead role in Mon jai, the best Assamese Film in the 56th National Award at kothasobi.com". kothasobi.com. Retrieved 4 September 2015. ^ "Zubeen Garg to film Hindi directorial 'Chakra' next year". Times Of India. 30 Apr 2015. Retrieved 25 October 2015. ^ a b "Awards won by Zubeen Garg". gomolo.com. Retrieved 4 September 2015. ^ "Zubeen wins GIFA award". zubeengarg.blogspot.in. Retrieved 4 September 2015. ^ "Zubeen Garg’s Birthday Special: 10 Important Facts about Zubeen". Kothasobi. Retrieved 23 October 2015.